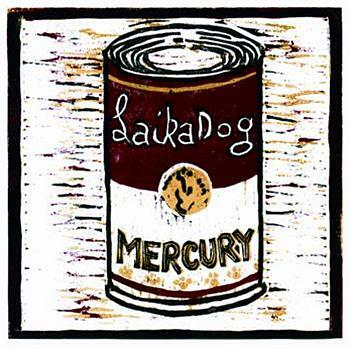 Laika Dog are an indie rock band containing Tony Wright (Terrorvision frontman) and friends. Their new album 'Mercury' could be taken straight from the 90's indie scene and was obviously influenced by that. There are hints of Kula Shaker and The Charlatans in their sound. The album starts well with the speedy and upbeat track 'Getaway', but slips a little too easily into the next song, so easily in fact, that you don't even notice it's happened, until you wonder what happened to the catchy chorus you'd just been listening to. Interestingly, although this record is mostly full of pacey indie/rock, the most memorable tunes are the slower love themed songs. 'By the Time I got Back Home' and 'Hard to Explain' being refreshingly honest tracks about not having the slightest clue about romance or the future.